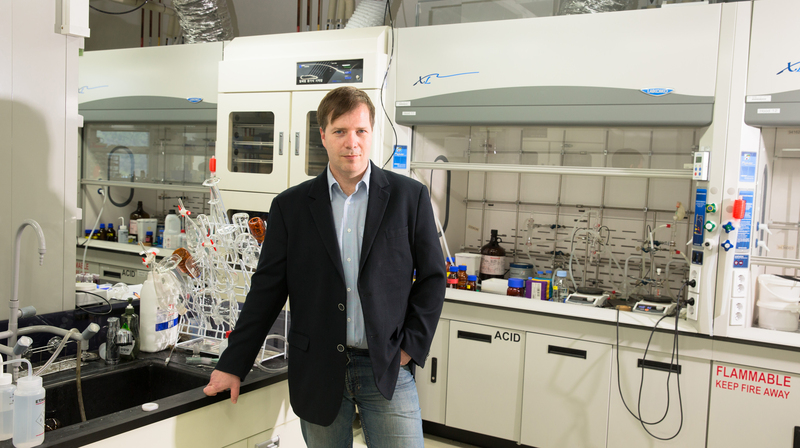 Prof. Bartosz Grzybowski (School of Natural Science) is smiling in his lab at UNIST. “Aside from the ethical problems, healthcare is one industry that will see a lot of benefits from wearable technology. A portable body temperature, for instance, is one of the continuous monitoring systems, which records and stores a human body temperature,” says Professor Bartosz A. Grzybowski from the School of Natural Science said in an email interview with the IBS Public Relations Team. 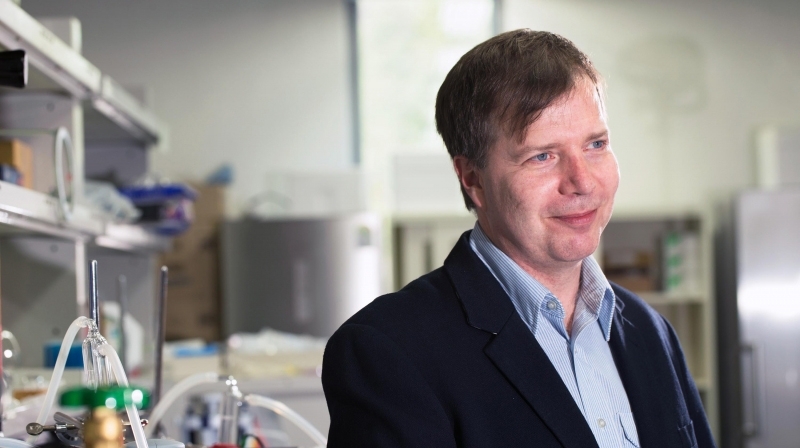 Professor Grzybowski joined the faculty of UNIST as a Distinguished Professor of Chemistry with research and a teaching focus in various areas of applied chemistry. Professor Grzybowski wears many academic hats. He is a fellow of the Royal Society of Chemistry (RSC), as well as the author of over 200 publications in chemistry, physics, and biology, including 20 articles in “Science and Nature” with nearly 10,000 citations. In addition to this new honor, he is the recipient of many awards, such as the American Chemical Society (ACS), the American Institute of Chemical Engineers (AIChE), the Royal Society of Chemistry (RSC), the Gesellschaft Deutscher Chemiker (GDCh), the worldwide 2013 Nanoscience Prize, as well as a founder of a few biotechnological companies with total capital estimated at half a billion dollars. Q. Wearable devices are a hot topic, these days. As a group leader at IBS Center for Soft Living Matter, could you tell us about the current status of wearable technology and research projects? A. 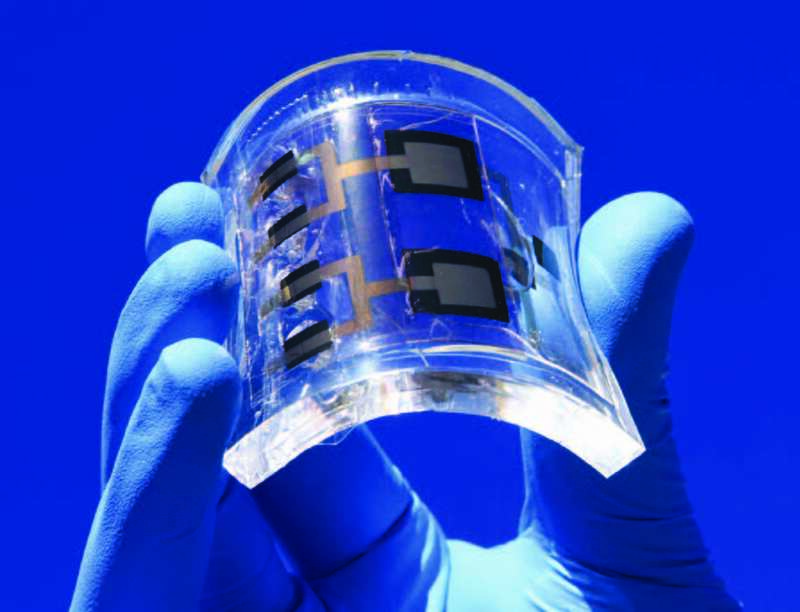 There is indeed much work on wearable electronics, as well as “implantable” electronics. If I were to choose the leader in this effort, it is John A. Rogers at the University of Illinois at Urbana/Champaign (UIUC). However, at the heart of these technologies are, generally, silicon-based semiconductors and cannot really function when wet. Part of our motivation was to develop a system that can function when wet and is also not toxic — nanoparticles such as Au or Ag meet the non-toxicity condition and so we used them as a basis. Then, the big conceptual thing was how to build electronic components from such metals — they do not have a band-gap like semiconductors, so it might look impossible. But, if one puts these charged groups on the nanoparticles, the counterions around them effectively serve the role of the “p” or “n” carrier in semiconductors. This is quite a radical departure from how we typically think for electronic devices. Q. Are there any other research groups, studying wearable electronics? What are their research interests? Anything has to do with super thinness, versatility, and flexibility? A. As I mentioned earlier, John Rogers is the leading researcher in this field. His big innovation, a few years ago, was that he got silicon very thin, so it is flexible. Nowadays, he is combining his methods with non-toxicity, which is also very cool. 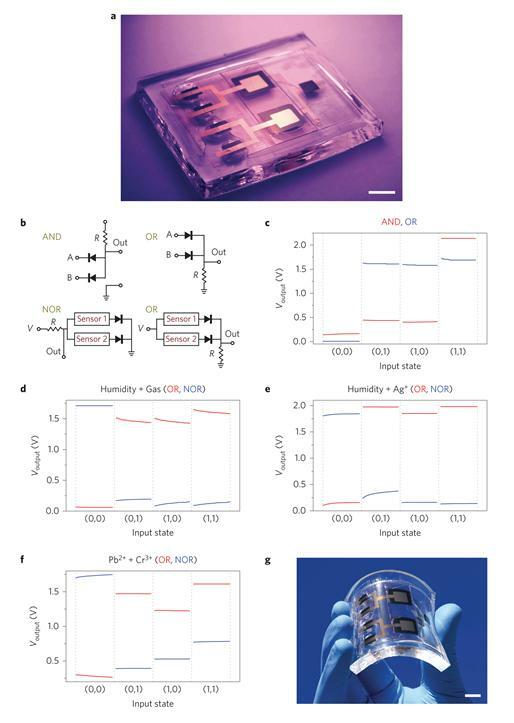 Another person to keep in mind is Charles Lieber from Harvard University who has published a paper on implantable electronics in “Nature Nanotech”- though I do like Rogers’ stuff more. Q. Research commercialization plays an important role in the development of wearable technology. Do you and your research group have any strategies for successful commercialization? A. Our group is in the business of discovering new ideas and I have had several commercial inquiries in the past. However, honestly, I am swamped with science and, at this point, cannot devote my time to commercialization of this stuff. Well, but things might have been different, if “big” players, like Samsung or LG were interested. These guys have the muscles to do things right and do “real” commercialization, unlike academics like us. Q. What is your standing in the wearable devices industry? In your opinion, how will wearable technology impact our lives? A. I like the idea of continuous monitoring of the human body, but I also see a bunch of ethical problems there, mostly regarding privacy issues. But if we could get better and develop more biocompatible products and devices to monitor patients’ hearts and kidneys, many people will live longer and have better lives. So ultimately I think that should be the future direction for wearable technology. Q. How did learn about the IBS research center at UNIST? And what made you decide to come to South Korea? A. I learned about IBS from Prof. Steve Granick, director of my IBS Center here at UNIST. Naturally, after some 24 years in America it was a bit of an adventurous decision but when I came here for my first visit I was very much impressed with how dynamic Korea is and how rapidly science develops here. In addition, I really liked the people — I am originally from Poland and I found Korean people quite similar in terms of mentality — open, communicative and enjoying life. Perhaps this has to do with the fact that our countries have somewhat similar histories (Korea has had Japan and China on the borders, we had Russia and Germany) and I guess we are also trying to make a good use of the peaceful times we finally have — build your country/economy while enjoy the freedom, etc. Of course, the facilities of IBS were also VERY impressive and the quality of students here is superb. When my wife also visited here and liked it a lot, the decision was very clear. Q. You are currently working with the researchers who were once students of your own. Together with them, you have made remarkable research achievements. What is your secret? A. Yes, there are about 15 professors who used to be my students/post-docs and we still stay in touch and collaborate. With the help of modern technology, such as Skype, coordinating a research project across three continents is not a problem, as we can exchange ideas, images, PowerPoint slides, and more. Q. What does collaboration in research means to you? A. I think collaboration is essential for exchanging ideas and for sharing expertise which no single group can achieve alone. The point I am trying to address here, is that working with people who are friends whom you trust– and I like this a lot since we can stay connected for many, many years. Science-wise, I think you can just move faster when you join forces. Q. How is your life in Ulsan? A. Both I and my wife, who also works at UNIST as a cell biologist, love living in Ulsan. Our son goes to an international school in Busan, so everything clicks. UNIST is embedded in nature, surrounded by mountain ranges and I love watching the view of the mountains from my office with my morning cup of coffee. UNIST is truly an incredible place where one can have peace and concentrate on science. We also have brilliant students and enthusiastic collaborators, working on campus. Although I learned to like Kimchi, Polish sausage is one thing I miss sometimes. Q. How would you link your recent research project “Chemoelectronic Circuits” with the IBS Center for Soft and Living Matter? A. Just curiosity and some stubbornness, I would say. Everyone says electronics requires semiconductors and I wanted to show that this is not necessarily the case. But of course there was a more serious reason, namely, that on metal nanoparticles it is much easier to put chemical receptors than on Silicon. So I thought that if we could make these metals to do electronics, we could also make them chemically active, thereby further producing electronics that can sense and process chemical signals. And it did work! 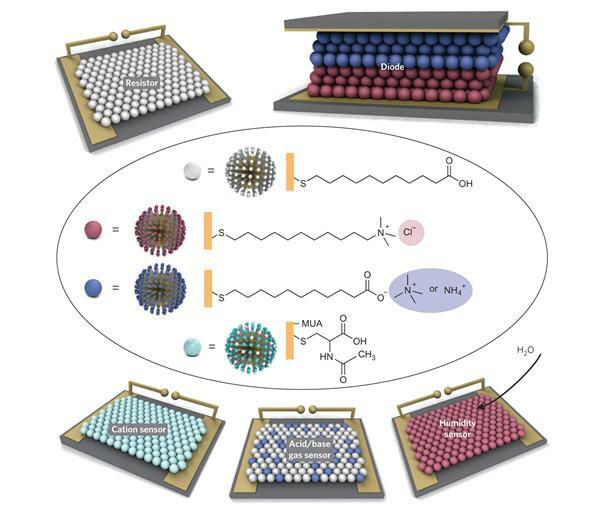 We called these materials “Chemoelectronic” and it finally made it to “Nature Nanotech”. Q. What is your future research plan? A. Oh, we have more than 20 on-going research projects, ranging from new materials to cancer biology. 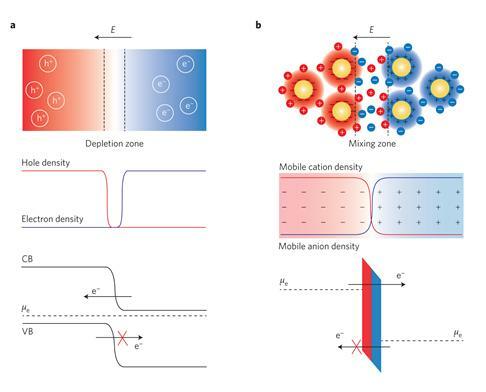 To give some examples, we will be soon publishing a completely new form of a battery that has the best parameters of all known battery systems. We are also about to publish a work on materials that emit light across entire visible spectrum. In chemistry, we solved one of the oldest problems , namely how to teach a computer to plan chemical syntheses. The paper on this is actually coming out in Angewandte Chemie within a week or so. It turns out that this problem is much harder than teaching the computer to play GO, but as I said, we have already solved it. There is a whole lot of research going on in our lab. We are a very dynamic, international (Korea, Poland, Russia, France, China) group that tries to solve important problems in creative ways. I think so far it has worked out nicely.